If you are one of those people who like to spend their free time in playing a funny and entertaining game there are few options for you to switch your brain to fun mode. One of those options is Beat the Dictators, a game that will provide you with variety of choices to soothe your need for doing something new, interesting and exciting. Beat the Dictators is a new game by Peaksel DOO that has a very unique content and will get you addicted to playing it. The game features 11 infamous dictators that you can boss around in five different worlds with challenging missions to complete. Great thing about this game is a large collection of weapons and upgrades for the best experience. You can earn diamonds and coins and use your fortune to unlock other dictators and buy new cool weapons. 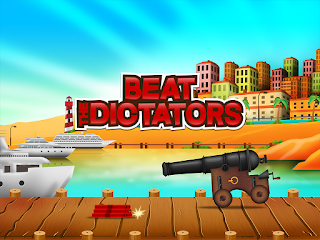 Playing Beat the Dictators is a fun way to spend your free time, blow off some steam and reduce levels of stress. 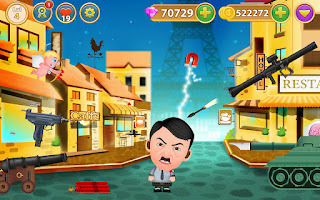 You can become the boss and have a good laugh while beating the dictators. This is not just another killing game to waste time. After you beat a couple of dictators and try out some of the cool weaponry you will realize how amusing and cool this game is. Beat the Dictators is one of those games that will lure you to play “just once more”. It is easy to become the boss and beat the dictators. So you can check it out on Youtube, or download it by clicking on the link to the Windows Phone Store. Give it a shot, after all it is free.